Radical changes to carve up Burnley, Pendle and Ribble Valley parliamentary boundaries could residents voting in new constituencies. As said, Nelson, Colne, Brierfield, Barrowford and their satellite villages will be joined with the Briercliffe, Lanehead, Daneshouse with Stoneyholme, Queensgate and Bank Hall wards from Burnley to form a new constituency of Burnley North and Nelson, with an estimated 74,989 voters. 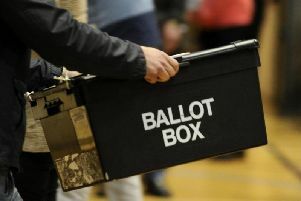 Towns and villages in West Craven, meanwhile, will become part of a new Ribble Valley constituency stretching from the Forest of Bowland in the north to the outskirts of Preston in the south, with an estimated 73,653 voters. From today (October 17th), people can go to the BCE’s website, www.bce2018.org.uk, to view the new plans we have published.